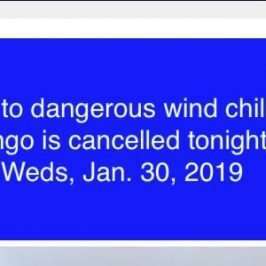 Bingo cancelled Jan 23, 2019. 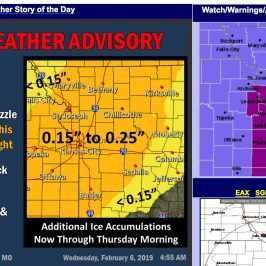 Due to Tuesday’s freezing rain and snow, we’re cancelling bingo tonight . Tom and the Bingo Volunteers are concern for our Bingo Player’s safety and health driving to and from Finnigan’s Hall.